Anirudh Pandey from Sitapur, B.E. - B.Tech Graduate. AC / DC DRIVES AC /DC MOTORS PANEL WIRING PLC SCADA INSTRUMENATION MAINT.. SWITCH GEAR MAINTENANCE ELCTRIC.. PROJECTS AND MAINTEN.. BREAKDOWN MAINTENANC.. AUTOMATIC FLEXLINK C..
are one of expert skill area's of Anirudh Pandey . 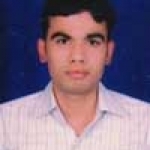 Anirudh Pandey is working in Production/Manufacturing/Maintenance industry.